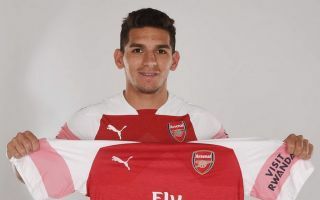 It’s been a busy summer transfer window 2018 for Arsenal and they have announced their fourth and arguably their most significant signing of the summer with the capture of Uruguay defensive midfield Lucas Torreira. The north London giants, have already seen the signings of Bernd Leno, Stephan Lichtsteiner and Sokratis Papastathopoulos for new manager Unai Emery, as per BBC Sport and Sky Sports. Torreira will be a fantastic acquisition for the Gunners and could add some steel to their midfield next season – given they conceded 51 times last season in the Premier League and made 15 errors leading to a goal, according to the official Premier League website. It will be interesting to see where he lines up for the Gunners next season, however, many Gunners would love to see him positioned behind Granit Xhaka and Aaron Ramsey in midfield, with Mesut Ozil playing just behind strikers Alexandre Lacazette and Pierre-Emerick Aubameyang. He shone in Serie A for Sampdoria and looks ideal for Arsenal’s needs in the middle of the park to break up play and create quick transitions between defence and attack and some fans have heralded him as the new N’Golo Kante after watching him put a number of impressive displays for his former club and at this summer’s World Cup 2018. Won’t lie, I’m actually very jealous that Arsenal have got Torreira. Didn’t watch him at all for Sampdoria but based of the World Cup, he seems to be a Kanté/ Verratti rolled into one. Only bought for like £25m too. Top signing from Emery. Now Lucas Torreira has been likened to Sergio Busquets. ?